The latest special offers and incentives from the world's top cruise lines, hotels, resorts, vacation companies and other travel partners, for you to sell! Get the word out to your customers, using InteleTravel Sales Tools, and customizable sales tools found on Supplier Websites, and even the old fashioned way: in person or by phone. But do it quick... most offers expire soon! Save up to £1,500 per person with Uniworld's Picture-Perfect Savings! Save up to £1,200 per person on select 2019 voyages for a limited time. Prices start from as little as £1,599 per person including flights or Eurostar. Click Here for list of sailings, pricing, and more details. Save up to £1,500 per person on select 2019 voyages for a limited time. Prices start from as little as £3,295. Uniworld's best staterooms are available on a first come, first serve basis, so why wait? Book today! Offer ends 31 May 2019. 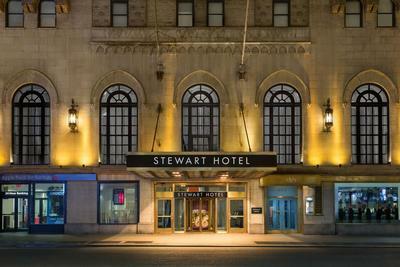 Book your 2020 Valentines at the Stewart Hotel in New York City with Major Travel! Uptown affluence and downtown style come together in Times Square and North Chelsea. Cutting-edge art galleries, broadway shows and trendy bars mingle with sought-after high-rises and converted warehouses in these ultra-fashionable and ultra-busy, neighborhoods. 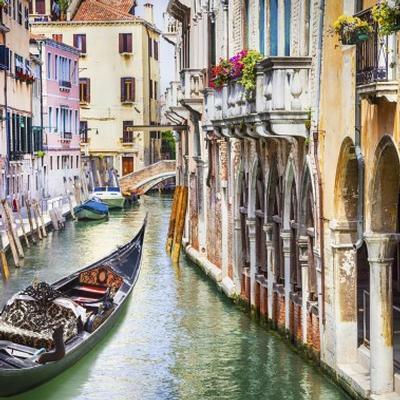 Enjoy three nights exploring the magical city of Venice and then return to London in style with an overnight trip on board the Venice Simplon-Orient-Express. 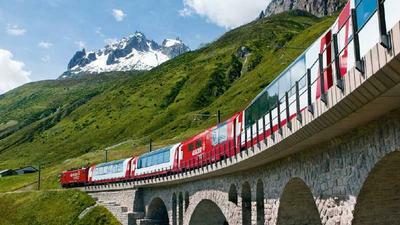 Travel through the Swiss Alps, rolling French countryside and Paris. Plus, save up to £300 per booking! Happy Sakura (Cherry Blossom) Season from Wendy Wu Tours! 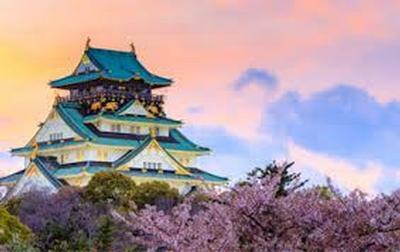 Embark upon your next unforgettable journey in Premium Economy, enjoying a FREE return upgrade when you book selected tours to Japan and China, saving up to £800 per person. OR, enjoy a FREE upgrade one-way when you book selected tours to India and Southeast Asia, saving up to £300 per person. Discover magnificent China on the Majestic Yangtze tour. Explore imperial Beijing, cruise the enchanting Yangtze River and meet the adorable Giant Pandas. Discover the beauty of Japan on the Japan Uncovered tour. Gaze upon majestic Mt Fuji, meet the playful Snow Monkeys and admire Himeji Castle. 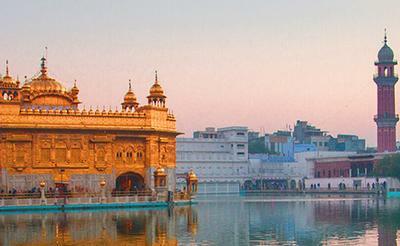 Experience the magic of India on the Inspiring India tour. Spot Bengal Tigers on safari, see the Taj Mahal at sunrise and admire the beautiful Amber Fort. Experience the magic of Southeast Asia on the Angkor to the Bay tour. Discover vibrant cities, beautiful landscapes and ancient temples. Offer ends 30 April 2019. Click Here for more information. Let Attraction World guide you through the streets of Rome and enjoy sites such as the Spanish Steps, the Trevi Fountain, the Pantheon and Piazza Navona. Ask any local about the best way to spend a day in Rome and they’re likely to recommend “il dolce far niente”, the sweetness of doing nothing! Attraction World's three-hour walking tour does just that, visiting the most important sights of central Rome and a few of its unsung heroes, with an expert, English-speaking guide to ensure that you get the most from your afternoon of adventure. Let the Eternal City enchant you as you stroll through its picturesque cobblestone alleyways and discover some of the world’s most famous sites, all in a single afternoon! This tour starts at The Spanish Steps, one of the most atmospheric spots in Rome. From there you will trace a path past shopping mecca Via Condotti and lovely Sant’Andrea della Fratte Church, through the cobbled streets of the city to the colossal Trevi Fountain – part water feature, part magnificent sculpture. You’re in the very heart of Rome now, where narrow streets snake out in every direction. You’ll stop for a coffee and to recharge your batteries for a few minute before making your way to the Pantheon with its famous oculus, a hole in the roof through which the sun shines and rain falls. Not so far away from here is perhaps the most beautiful square in all of Rome. Piazza Navona is home to spectacular Renaissance buildings and Gian Lorenzo Bernini’s beautiful Fountain of Four Rivers, the sculpture that saved his reputation after he almost tore St. Peter’s Basilica in half. Your tour will terminate here. This three-hour tour is the perfect addition to a Rome vacation at a rate of £37 per adult and £31 per child. 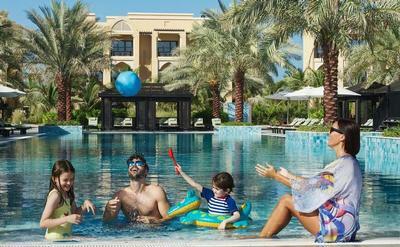 Major Travel is offering 6 nights on Marjan Island in the Persian Golf for families of 4 at just £679 per person! Take in beautiful sea views from your spacious and inviting guest room or suite. All rooms offer either a balcony or terrace, with direct access to the beach. Relax on the soft sands of private, white sandy beach, swim in one of the seven temperature-controlled pools or stay active in the fitness center fully equipped with top of the line Technogym equipment. 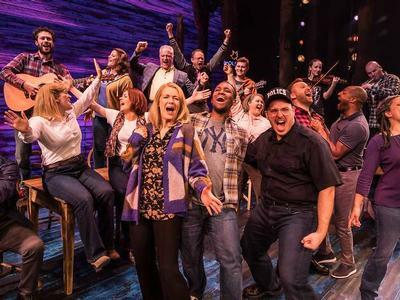 Enjoy FREE dinner with theatre tickets to see the acclaimed musical Come From Away. Come From Away tickets and a Complimentary Dinner at Jamie’s Italian? It’s hard to imagine dinner and a show in London's West End getting much better than this! Your evening will start with dinner at Jamie’s Italian - the central London location in Covent Garden makes it the perfect place to start the night. Internationally renowned chef Jamie Oliver’s magnificent Italian eatery offers a stunning array of Italian cuisine. From soups and starters, mains, all the way through to desserts and coffees, this incredible 5-floor restaurant has something for everyone. Once you’ve enjoyed your meal the Phoenix Theatre is less than a 5-minute walk where the touching tunes of Come From Away will end your evening! Come From Away - When the September 11 attacks force planes to make emergency landings the small community of Gander, Newfoundland and Labrador is hard pressed to accommodate more than 7,000 passengers but accommodate them they did. This heartwarming story based on true stories collected by Tony and Grammy nominated writers Irene Sankoff and David Hein shows how people can be brought together in the most stressful and unusual circumstances. This Tony Award-winning musical has audiences and critics alike taking notice. Don't miss this incredible opportunity to catch a show that everyone has been talking about, and have an amazing dinner to boot! Your meal is free with your tickets, so there’s no better way to do dinner and a show in London. Offer ends 24 May 2019. Click Here for more information. Book your vacations with Railbookers and save! SAVE £200 per couple (or £100 per person) on select North American Rail Holidays. SAVE £100 per couple (or £50 per person) on select European Ultimate Rail Holidays. 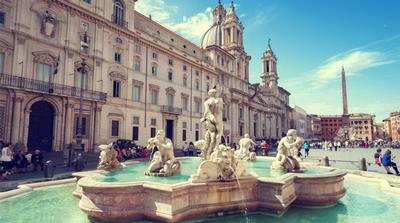 SAVE £50 per couple on European Ultimate City Breaks. Save with these last-minute Uniworld deals! Book a Classic stateroom on select 2019 cruises today and save. Hurry, availability is limited and these cruises and deals set sail soon! 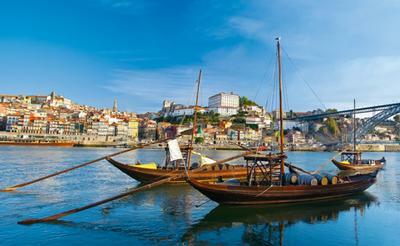 Discover one of Europe’s best-kept secrets, the dramatic Douro River Valley. On this captivating journey that pays tribute to the “Age of Exploration,” experience the “sunny side” of Europe, starting in radiant seaside Lisbon and following the Douro River through Portugal and into Spain. Save now on a Shore Excursions Group day tour of the Mayan Ruins of Tulum! The Mayan city of Tulum is located 81 miles south of Cancun. 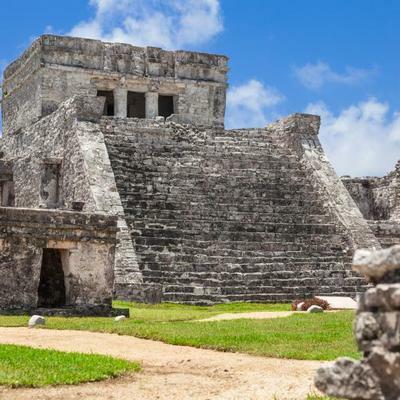 On this Tulum tour, you'll travel to a historic Mayan city full of interesting history. The only Mayan city built on a coast, Tulum offers spectacular ocean views paired with impressive ruins. A limestone wall of over 2,500 feet surrounds three parts of the ancient city. Prepare for an experience unlike anything you've had before. Begin your Tulum tour with a scenic 45-minute ferry ride to gorgeous Playa del Carmen. A comfortable air-conditioned bus awaits your arrival in this lovely city, ready to transport you on a picturesque ride to the Tulum Mayan Ruins. Approximately two hours are provided in Tulum, plenty of time to explore the restored temples rising above the Caribbean Sea. A professional guide will explain the facts, myths, and fascinating legends of the Ancient Mayan culture that once dominated the area. Enter the Tulum ruins through one of five doorways in the massive limestone wall. A lush field of smooth hills welcomes you, decorated with detailed stone-carved figures and the remains of what were once striking buildings. Notable highlights include El Castillo, perched on the edge of the 2,500-ft. wall and overlooking the Caribbean Sea; the Temple of Frescoes, one of the most preserved buildings remaining; The Temple of the Descending God, and The House of the Columns. After your time in the Tulum Mayan Ruins, you'll hop back on your bus, return to Playa del Carmen, and enjoy a ferry ride back to Cozumel. The Tulum Mayan Ruins are extremely photogenic. Plenty of memorable snapshots are yours to take on this unforgettable Cozumel cruise excursion. Book today as part of your next great vacation for as low as £80.99! Click Here for more details. Take advantage of Uniworld's waived or reduced single supplement deals for select 2019 voyages to Central Europe, France, Italy, Portugal, Spain, and Russia. Thinking about exploring the world on your own? There’s no better option than a luxurious and all-inclusive Uniworld boutique river cruise. These meticulously planned itineraries are ideally suited for solo travellers, with open seating at every meal, small group excursions, and kindred spirits who share your passion for fresh destinations. Experienced solo travellers and first-timers alike find the warm and welcoming atmosphere onboard makes for a safe, convenient, and rewarding travel experience. 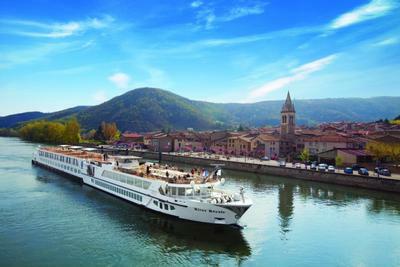 And no other river cruise line offers more luxury or value. More and more guests have found that travelling solo with Uniworld is one of the most enriching and rewarding ways to explore Europe. To celebrate this, Uniworld has waived or reduced the Single Supplement on select departures of some of the most popular 2019 itineraries! Book early, while space is still available. Click Here to view available voyages. Wicked tickets + Free Dinner at Dim T - Victoria. Enjoy a lovely evening with great Asian food and one of London's most beloved musicals. Wicked tickets are some of the hottest on the West End and now they’re even hotter with this Free Meal Deal. Make your night truly magical by booking Dinner & Show: Wicked and Dim T tickets. Start your evening off with a set 2 course menu at Dim T Victoria located less than 5 minutes walk to the beautiful Apollo Victoria Theatre. After dinner make your way to the theatre and prepare to be changed for good by the West End’s most spellbinding musical. Based on Gregory Maguire’s novel Wicked tells the story of what happened before the yellow brick road. 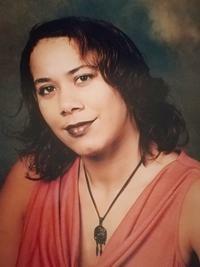 Come to learn what makes a witch Wicked. 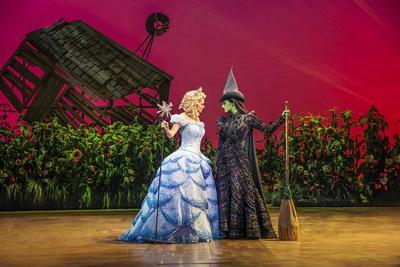 Book your Wicked Dinner and Show tickets now to guarantee the best seats at the best prices! Offer ends 24th May 2019. Click Here for more information. NOTE: All rates are per person based on double occupancy and subject to restrictions, availability and change. Rates reflect discounts and savings. Airfare not included unless otherwise noted. Additional taxes, security fees and other charges may apply. For transactions which include airfare, additional fees and restrictions may apply for baggage. Please visit the air carrier's website for detailed baggage rules and fees. Supplier logos and other marks above are the registered trademarks of their respective companies. InteleTravel.com is a registered seller of travel in accordance with law in California (2091941-40), Florida (ST-32452), Washington (602-735-106), Hawaii (TAR 6732) and Iowa (977).